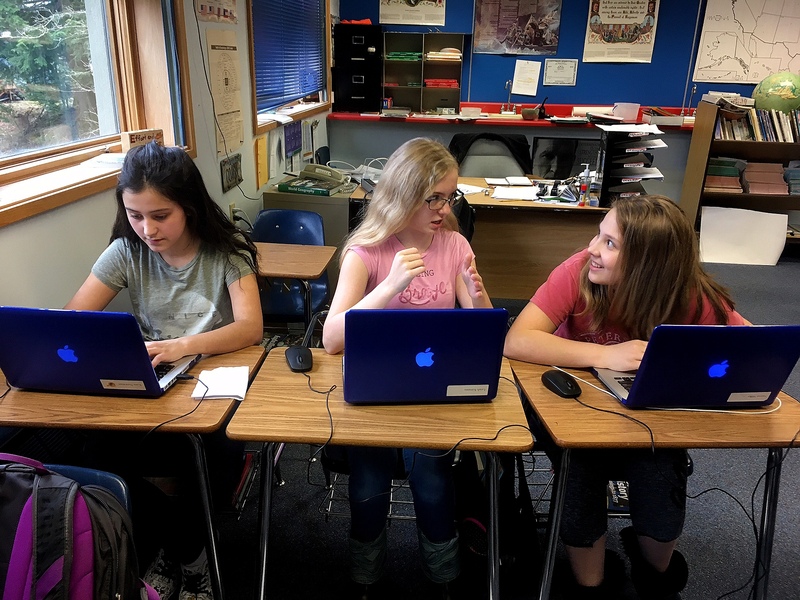 The video game Minecraft is being used in Petersburg’s 7th grade computer science class to teach students basic programming skills. It’s a student led program that has high schoolers designing the curriculum. 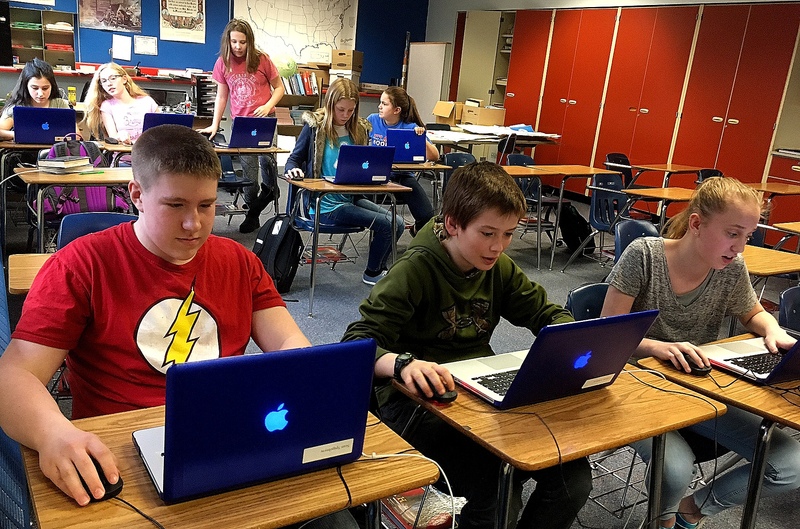 To the adult eye it might look like these 7th graders are just playing a computer game. They’re at their desks hunched over laptops, eyes darting around a virtual world. But this Minecraft is different than what kids play at home. The access is secure. Only the students and teacher can get in. And, there are assignments. That’s a house that they build…and a mine that they build. 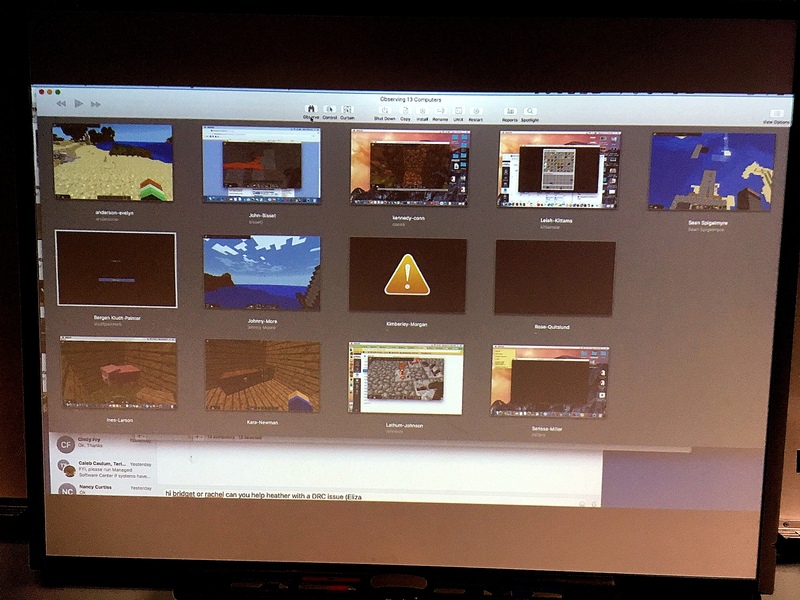 Minecraft is part of a semester long, exploratory course, which lets the school design the program. Jon Kludt-Painter is the Technology Director. He teaches Mac Tech in the high school and this class. Here, students learn a little programming and engineering. I ask him what red stone means and he said we should ask a student. “Redstone is a property similar to electricity as humans use it,” Kara Newman answered. Newman’s team is in the back of the room. She says they are working to re-establish their settlement to get more privacy from other students. “We used to live on the mainland and we’ve moved to an island on the ocean that’s full of more resources because where everyone is living is very drained out,” Newman said. Resources like stone or iron. Teammate Leah Kittams has been spending her time getting resources for the group. Across the room, Sean Spigelmyre typed on his laptop. His team is working on something different. They have spent a ton of resources on a quarry. “Instead of us spending the time mining for the resources, it does it for us,” Spigelmyre said. I ask him how he figured that out. Did he make something to mine for him or was it something he found in the program? The curriculum for the course and instructional videos were created by Petersburg high school students. Junior Van Abbott helped put the syllabus together. Abbott also helps maintain the server for the class. “We use it for everything, basically” Abbott said. “Even math class which is just paper and pencil we use it because our text books are online. Back in the 7th grade classroom, Kludt-Painter sits at the front of the room watching the students work. He’s monitoring all the computer screens, which are displayed on an overhead projector. He said there’s a lack of computer science programs throughout the country and skilled graduates. This computer science course is the last class of the day. But that can be a little tricky. The teacher said they’ve found some students so engaged that they have to ask them to leave, which is a good problem to have.